Copy software allows automatic file transfer, mainly for backup or synchronizing purposes but also for dispatching, sharing, auto-updating, updating etc. Handy Backup, a popular file copy utility, can serve for all these functions, allowing fast file copy operations with all modern storage types! With a full set of data and storage plug-ins, Handy Backup is a perfect copy utility for not only traditional files and folders (regardless of location of these files) but also for complex or intrinsic data structures such as SQL databases, disk images, virtual machines, FTP servers, websites and so on. 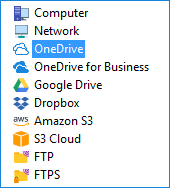 As a copy tool, Handy Backup supports not only local drives or external USB devices but also shared network disks and folders, NAS units, FTP, SFTP and FTPS servers, and all main cloud types, including S3-driven clouds (such as Minio backup), Google Drive, OneDrive, Dropbox and WebDAV-connected clouds. The Professional edition is an optimal copy program for experts and dedicated PC users. It works as copy software for all popular home applications and professional-level workstations. 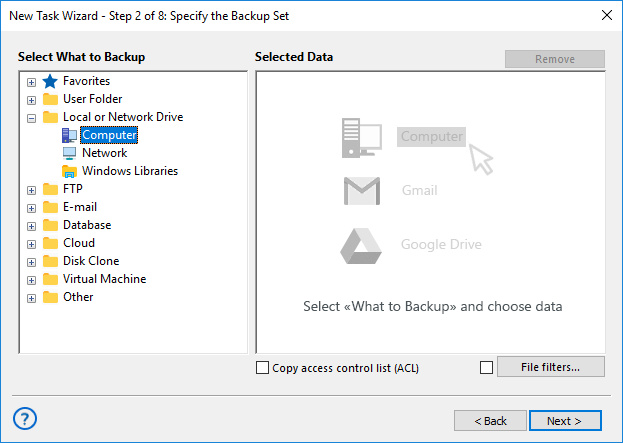 Despite being a "backup" copy program by its main purpose, Handy Backup always preserves native data formats for any unencrypted and uncompressed files it copies. Therefore, you can browse, use, move or even delete any "backup" data by using a standard file copy utility! Copying files and folders, including user folders and Windows libraries. 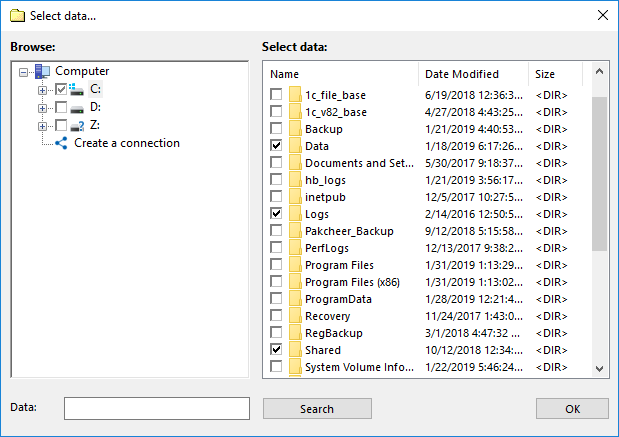 Making a file copy of a Windows app, such as registry, MS Exchange or Outlook backup. Creating a drive image for using it later in a virtual machine or for disk recovery. Making a file copy of email base, either from an IMAP Web server or a local client. Copying dedicated data such as databases, websites, virtual machines or cloud accounts. An advice: Handy Backup makes all these actions by utilizing a plug-in system. Perhaps, every main data type in a modern IT world has its own plug-in in this file copy program. 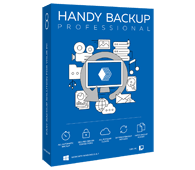 Please read the User Manual and other articles in our website to learn more about capabilities of Handy Backup! To copy data, please follow the next generic instruction provided below. Create a new task by clicking the “New” button or by pressing Ctrl+N. On Step 1, select “Backup”. Use advanced wizard if you want to utilize the extended functionality of Handy Backup to make file copy. Click “Next”. Click “Next”, and on Step 3 choose a destination where to copy data. Again, click “Next”. These steps are common for any data copy software task. On next steps, you can select all other parameters for automating the job with a file copy tool, e.g., compression, encryption, scheduling a task by time or by an event and so on. You will find the detailed instruction for each step and every plug-in in the User Manual. But even in a simplest mode, using Handy Backup as file copy tool is a direct, straightforward and completely reliable process. Just set up what, where and, perhaps, when to copy — a file copy utility will do all other job! If you want to copy or mirror a file governed by a data source plug-in, e.g. a database, then firstly make a copy of it in a "backup" task, and then set up a restore task to another place governed by the same plug-in. This way, you can use Handy Backup as fast file copy software for databases or websites! Try Handy Backup as your file copy utility just now — download a 30-day free trial version with all plug-ins at hand!